Kenyan authorities have indefinitely delayed futher attempts to hold the repeated presidential ballot due to the risk of violence. during an attempt to hold the polls there on Thursday. In Kisumu, the stronghold of opposition leader Raila Odinga, the election board’s decision has been met with widespread relief. “Due to the postponement things have gone back to normal. Vehicles and bikes are on the streets, people are out walking, things seem ok,” said local resident Nicholas Odhiembo. Over the past two days, many people have been caught up in the unrest as police fought running battles with protesters against the poll. “It (political situation) affects us a lot because there are no movements, we are being beaten by the policemen, we really don’t know if they are policemen or Mungiki (militia) people, because if they are policemen they should protect us, they should not beat us,” said Milicent Ogombe. 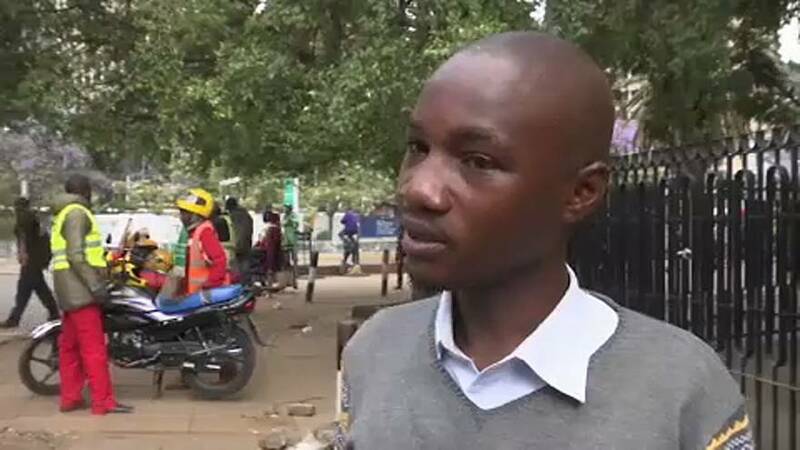 In the capital Nairobi, many people are asking if President Uhuru Kenyatta can be declared the winner of a contest in which only an estimated third of the population took part in. “The people from Jubilee Party and from the NASA (National Super Alliance) Party should come together, they discuss so that we may get a solution. For one you know, there’s what you call a constitution, it’s actually guarding the election,” said Nairobi resident Sammy Juma. Under Kenya’s constitution, the results of the election must be declared within seven days. For now, Kenyans must wait and see who’ll take take the next legal steps as the votes from the disputed poll are being counted.